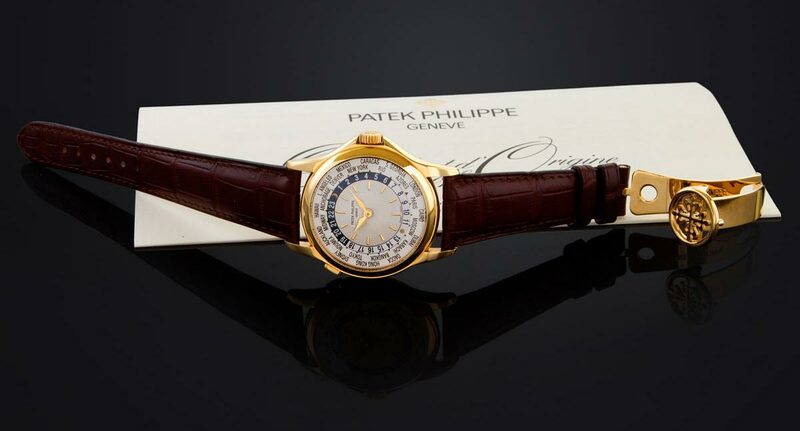 Very fine, self-winding, water-resistant, 18K yellow gold wristwatch with World Time system, engine turned silver dial, yellow gold hands & indexes, inner 24h disk, outside time zones with the names of the cities. 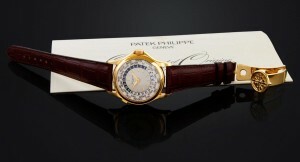 Transparent back, automatic winding movement caliber 240 HU, gold rotor, Geneva hallmark. Yellow gold deployant buckle. Original box, booklet & certificate. Diam 36 mm – P.B. 83 g.